My generation has shown some characteristics of being a Civic generation. We care about the environment and are enthusiastic about going green. We flooded social networking sites with grassroots political movements. We voted in record numbers. We actually look forward to challenges. We are restless with the status quo, and are waiting for older generations to look to us for help. We are tolerant. We are concerned citizens. We value working together over divisiveness. We strive for everything just short of saving the world. I think I saw a Pepsi commercial that summed all this up a while ago. I think many people get it by now, or at least the media gets it. Millennials are looking to make a difference. A sure characteristic of a Civic generation. But I’m wondering, do we really fit the mold of a heroic Civic generation? We may fancy ourselves as heroes. 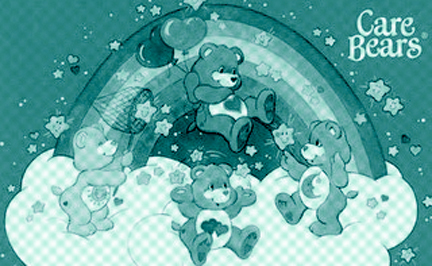 Some Millennial childhood throwbacks include Captain Planet, Power Rangers, He-Man, even the Care Bears. We like the idea of being a hero, but I’m skeptical whether we will end up fulfilling this destiny or not. If you don’t know what I mean by Civic generation read about Generation Cycles. One thing we may be missing is our “hero trial” according to authors Howe & Strauss. For example, the GI Generation was faced with global Fascism, and the task of rebuilding a new America after the Depression. Millennials have been confronted with some crises already: collapse of the housing market; 9/11; the Great Recession; a seemingly endless list of natural disasters; pollution; social crises like school shootings. However, I’m not convinced there has been an event to truly test us as a generation, and challenge us to work together. Also, according to the Generation Cycle theory not all eras have the heroic Civic. The Civil War Era didn’t have a Civic generation. They drifted from a Reactive generation (tough cowboys and gunslingers of the Wild Wild West) to an Adaptive generation (prairie settlers during Post-Civil War, and Victorians interested in modernizing and civilizing the country). There is evidence that a new generation is forming, not much younger than the first-wave Millennials. Author Don Asher calls this emerging generation “The Moat People”. They see the world as a scary, uncertain place. They’ve witnessed the economy and the housing market collapse, so their aspirations include more practical matters: a steady job, making money and maybe owning a home someday. A far-cry from my generations’ dreams of saving the world. This crowd sees the world as an unreliable place, and see the problems of the world as paralyzing, and much bigger than themselves. They would rather be left alone to build a sustainable life in an uncertain world. Similar to Millennials, they were protected and told they were special by their parents. Instead of finding a way to save the world with their awesomeness, they are interested in retreating, and creating a place of stability for themselves. Sounds like the beginnings of an Adaptive generation. Of course, there is a chance my generation will face a crisis in which we will have to come together as a generation. We are poised to become the next ‘Greatest Generation’. But for now we’re just nice guys. Not heroes. We haven’t had the chance to use our super powers yet though.